0.3 How do I make keto meals the whole family will love? 2.2.2 Who are we at Have Butter will Travel? 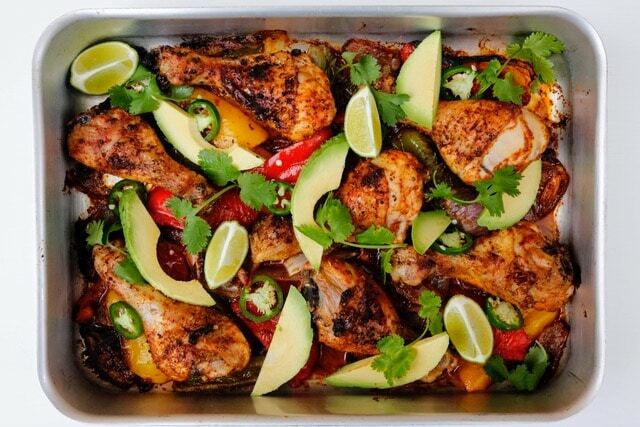 We love this chicken fajita sheet pan dinner for three main reasons. One, who doesn’t love Mexican flavors? 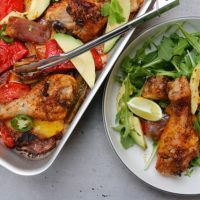 Two, chicken drumsticks are a great budget friendly option, so perfect for families with lots of mouths to feed. Three, it all cooks in the one pan so it is an easy clean up, not to mention it cooks in the oven so it is basically hands off. 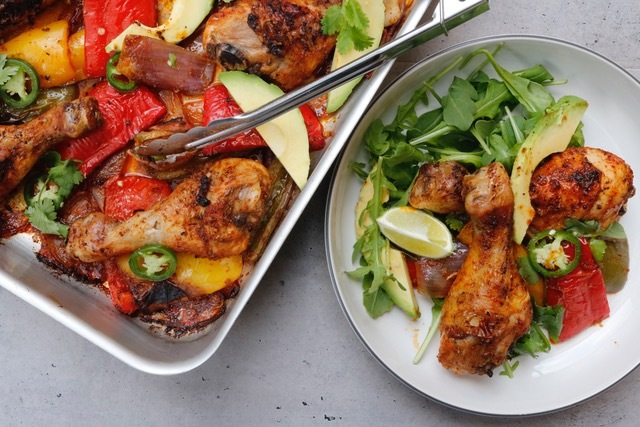 Caramelised onions and capsicums (peppers), smoky Mexican flavours, crispy chicken skin and the freshness of avocado and coriander (cilantro) can all be found in this one tray meal. 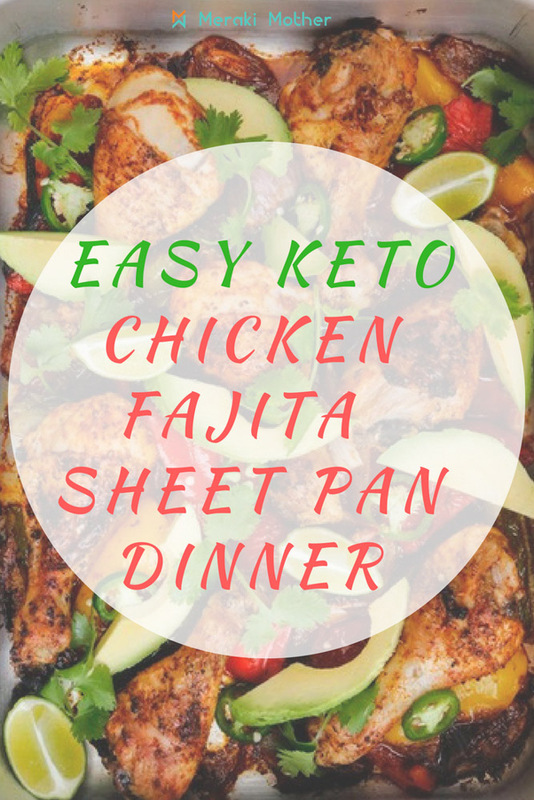 Our chicken fajita sheet pan dinner is a budget friendly crowd pleaser and is a quick and easy meal to add into your weekly rotation. Looking for more Keto recipes?Find the best keto cookbooks here. How do I make keto meals the whole family will love? So you may be thinking, keto sounds great, but there is no way I will be able to convince the kids to give up bread, pasta and rice or I don’t want to be cooking one meal for me and another for the kids. There are so many keto friendly and delicious recipes that the whole family will love. My advice would be to just change dinner. I bet they won’t even notice. Seek out keto recipes you know they will love. Pinterest is an excellent resource for finding wonderful keto recipes that I bet the whole family will love. We served these to Dan’s mum (not keto at all) with zucchini noodles and she absolutely loved them! So much so that when we added the recipe to our blog she made them herself at home. Her only feedback was that she served them with regular pasta and they weren’t as nice as when she had them with zucchini noodles. So this one is definitely a winner. 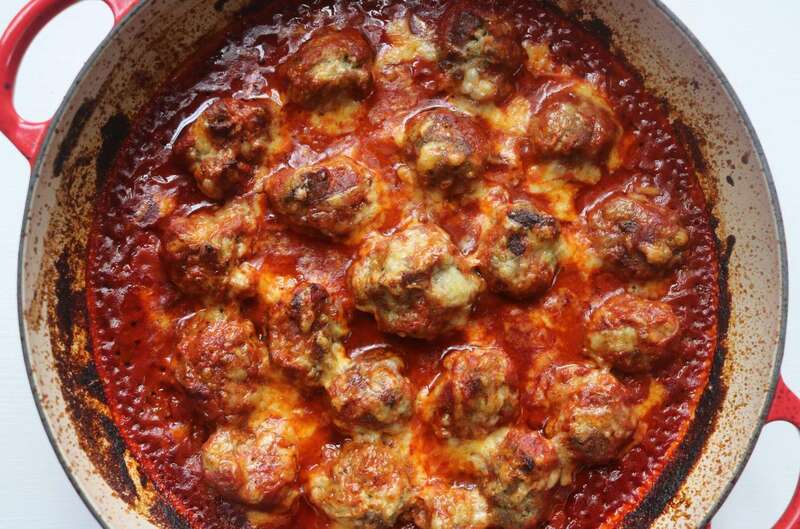 This is by far one of the most popular recipes on our blog. 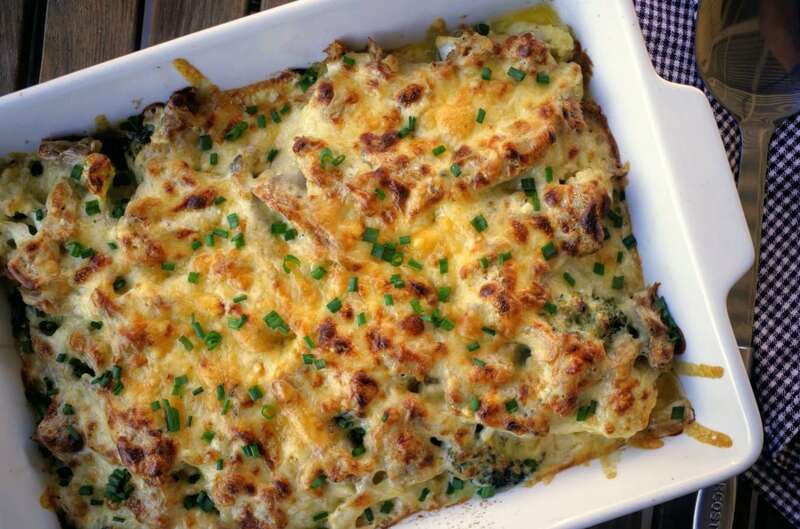 The cheese sauce makes it super family friendly as it is so delicious. Tuna is a great option for family meals budget-wise, and adding the cheesy sauce is great for boosting the healthy fats in your meals and make it so filling. 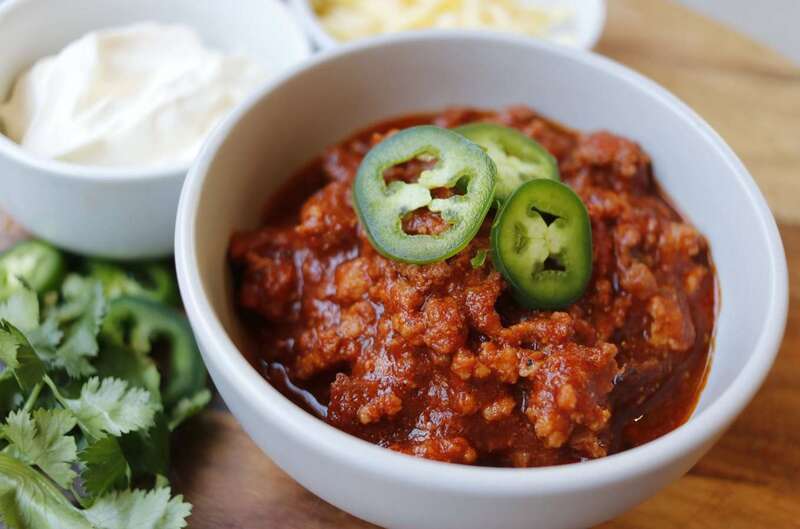 Mince is another great budget-friendly option for family meals and the chili in this recipe can be reduced to suit all taste buds. This recipe is perfect to cook up a big batch on the weekend and have to take for lunch during the week, or to have 1 or 2 of your weekly dinners ready to go in the fridge. After we cook up a batch on the weekend we store a few servings in the freezer, and have one that night for dinner. Along with this chicken fajita sheet pan dinner that’s four easy family friendly meals to get you started. I bet the rest of the family will have no idea you have changed anything and won’t even miss the carbs with these delicious options. Cut the capsicums and onion into thick wedges. We met and fell in love in 2006 and have been exploring the world together ever since. We have both struggled with our weight for most of our lives and have tried every weight loss diet/plan around without finding long-lasting success. In July 2016 we started on yet another weight loss attempt, but this time it was a success and we have since lost over 95kgs (210lbs) between us! 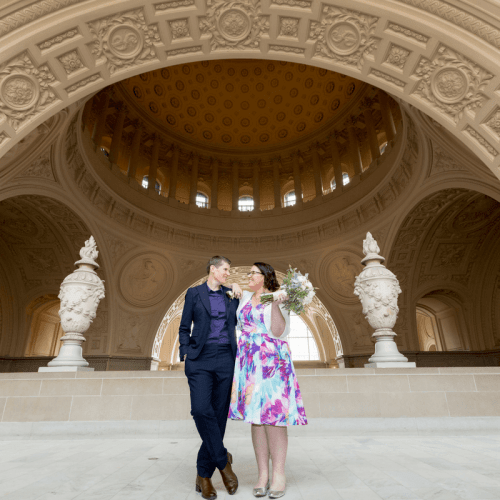 Click on the links to find out more about Dan’s story and Erika’s story. Following a ketogenic/LCHF way of eating has changed our lives in so many positive ways, aside from the weight loss, and is the new ‘normal’ for us now. We started Have Butter will Travel so we can share our two passions – low carb eating and traveling. When we started out with low carb eating we struggled to find information out there specifically for Australians, so we hope we can provide some helpful resources to get people started and set them up for success.